We all think of a Paulee tasting as being only a Burgundy concept. However other wine regions can copy this excellent idea. 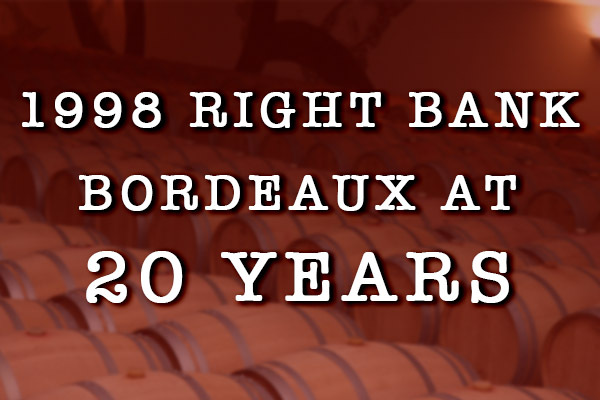 A Bordeaux BYOB – especially here for a First Growth theme – works fantastically as the same opportunity. Your scribe attends such a dinner-tasting with too much wine knowledge baggage though has great expectations for finding some best bottles as all wines are top shelf but the evolving nature of different vintages matters a lot. 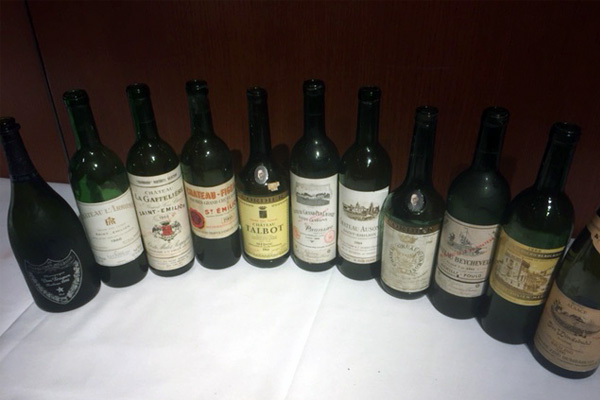 A matching menu masterly done by talented Chef Alex Chen and his brigade at Boulevard Restaurant in Vancouver helped by enhancing our overall appreciation of the quality of the wines. You usually can put 8 top properties into this so called First Growth group. We didn’t have any Petrus or La Mission Haut Brion this time. Did have 3 vintages of Haut-Brion with an elegant classy cool 79 singing well as did the powerful rich caramel dessert-like 1975. 1978 is more vegetal and not the majestic outstanding riper prowess of sister property La Mission in this late miracle vintage. Only 2 vintages of Cheval shown with underrated 1988 still firm and developing that special Right Bank cab franc character preferred over a lovely bouquet but less balanced less fruit 1986. Chateau Margaux showed 4 excellent examples with atypical big bodied still young dramatic 1986 and mature classy flowers long flavours 1978 at 40 years. Wonderful comparison of twins 1983 & 1982 both true beauties. Found 1983 no rush backward younger harder and most concentrated fruit while 1982 forwardly open charming riper rounder delicious already. 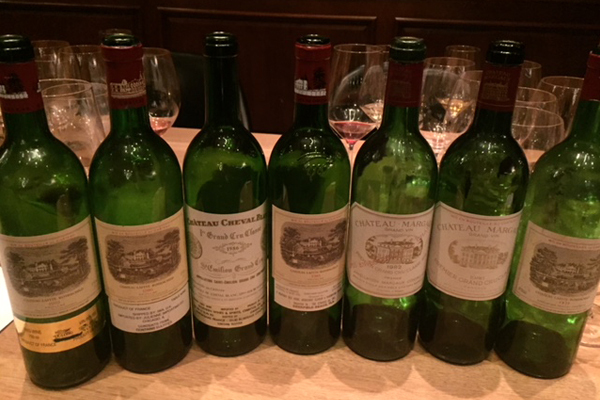 Thirteen wines were from Pauillac with Latour 2, Lafite 5, and Mouton 6 vintages to compare. 1983 Latour very high fill decanted early and better than expected from a difficult year for them while the under the radar 1970 well stored bottle again much better now than in earlier experiences. Outstanding bouquet of intense spicy plums with cedar! Six Moutons ranged from a fresh youthful 2012 to a mature 1970. Most impressive was 1998 with dense 86% cab sauv for wonderful ageing potential while drinking up the barnyard 1988, smoky lighter 1980, and cherry honey earthy 1976. Lafite made the best overall showing of the evening with 5 quite different lovely vintages. 1999 has that eclipse marking and engraved vintage on the bottle produced from 1/3 of the crop in the Grand Vin but presently more herbal green tea acidity and prominent tannins. The three from the eighties shone better. 1989 quite lush from riper vintage style with elegance but seemed lighter bodied than I expected. 1986 still somewhat tight but has a magnificent explosive cedar nose with big bodied classic dense fruit already showing some brilliant harmony. 1985 more mature with charm and ready to enjoy now. Only off bottle was that tannic year 1975 with some TCA corky issues. All in all 22 most intriguing top First Growths to try in one evening. What an education! Hope you are thinking about holding a Paulee with wines other than Burgundy. BYOB with a theme works very well. Enjoy the experience.